Seems that Audi had one last surprise for us before the start of the Frankfurt Motor Show. 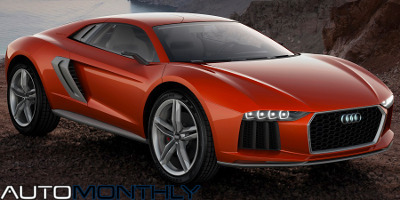 But it is a little disappointing, since the overall shape of this concept looks a lot like the Italdesign Giugiaro Parcour Concept revealed at the beginning of the year, and don't forget that Italdesign was bought by Volkswagen. 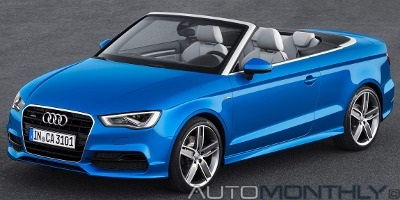 With the A3 Cabriolet, Audi revealed the last member of the A3 family. This compact four-seater has the same look as the rest of the A3 family and a soft cloth top which is actuated through a lightweight kinematic mechanism made of magnesium-steel, and opens or closes in less than 18 seconds at speeds up to 50km/h (31mph). 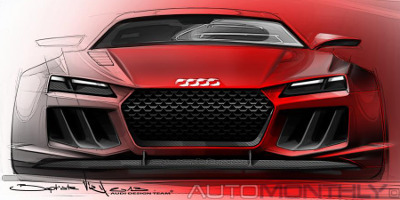 What we have here are the first official pictures of the Audi Sport Quattro Concept that will be shown at the Frankfurt Motor Show. The bad news is that, in my opinion, it looked a lot better on those sketches revealed some time ago. We will have to wait for some more information, but for now enjoy these four images. 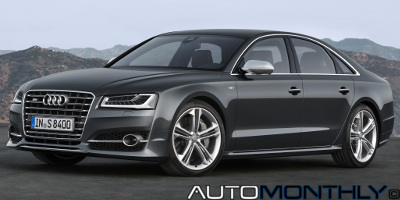 This small redesign greatly improved the appearance of the top of the range Audi. The front now features a squarer grille, a new hood, a redesigned bumper, and the innovative Matrix LED headlight technology that was heavily promoted over the past weeks. At the back, Audi changed the bumper that now includes two rhomboid tailpipes (except S8), and the LED tail lights have become flatter. 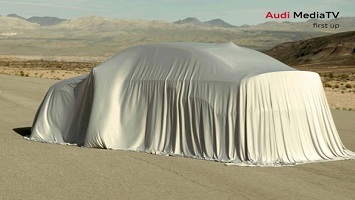 Last week, Audi released a video teaser showing two cars covered with a white cloth. In it they showed the wheel of one of the cars, and at the time i thought it would be the new A8. Seems it is true. 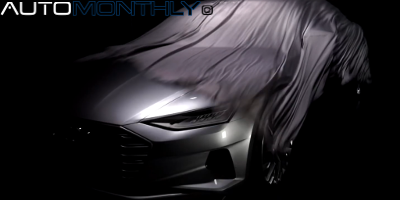 In this second video teaser, Audi still has the cars covered, but they have confirmed they are going to show the 2014 A8 and S8. Last week, Audi teased a car that will be revealed the Frankfurt Motor Show in September, showing the left rim and left ceramic brake disc. 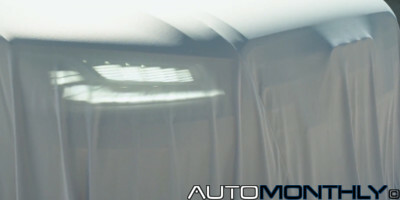 In the video we can see two cars covered with a white cloth, from that i can see the cars are long, indicating they might be in the top part of the German brand car range. Back in 2010, Audi showed the for the first time the Quattro concept at the Paris Motor Show. 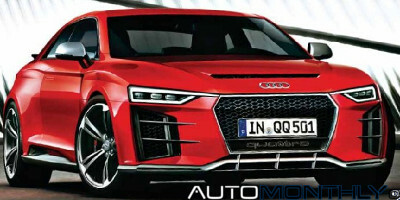 It was created to celebrate 30th anniversary of the original Audi Quattro and the Audi quattro four-wheel drive system that can still be found in many modern vehicles from the German company. At the time, it as rumored that the car was going to be produced in limited numbers, but in 2012 that was canceled. 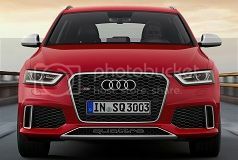 Meet the new member of the third generation A3 family, the new A3 Sedan (In the picture above you have the S3 Sedan). With the public presentation scheduled for the Shanghai Motor Show that will take place from April 21 to April 29 (Press day: April 20), Audi decided to show a little bit of the car on their new online channel, Audi MediaTV. Starting from March 27, Audi will have its own online channel (they have a channel in Youtube) where you will be able to follow the live broadcasts of world premieres, press conferences and other events exclusively in English. 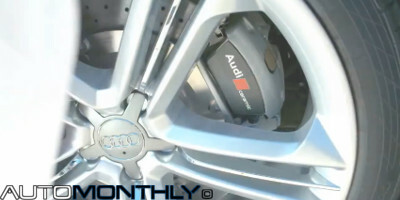 And promote the new channel managed by Audi Communications, the German company teased the upcoming A3 Sedan. 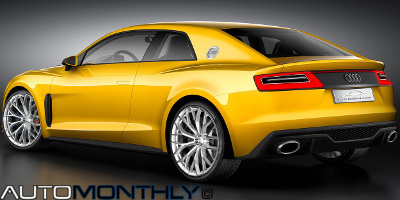 Short News: Audi TT concept coming to Geneva? 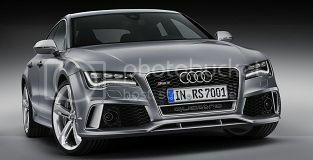 Some rumors have surfaced saying that the next-generation Audi TT could show up at the Geneva Motor Show as a concept. While nothing was confirmed for now, the guys at Fourtitude decided to take those rumors and create a render that gives a good idea on what the car could look like. Seems someone at Audi didn't liked the attention given the the new Mercedes A-Class AMG (A45) and thought "hey, let's release pictures and more information about our fast hatchback", too bad the S3 Sportback is less powerful and slower compared with the Mercedes. Slowly the German brand introduces new variants of the A3, but before that each vehicle has to be tested in low and high temperatures. And that is what we have here, the Audi A3 convertible, but this time it isn't based on the hatchback but on the soon to be introduced sedan. Audi revealed another RS, or RennSport, car that besides the impressive look, has equally impressive performance figures, and all thanks to the 4.0liter TFSI engine.